1) If you're using active dry yeast, dissolve it with a pinch of sugar in 2 tablespoons of the lukewarm water. Let the yeast and water sit at room temperature for 15 minutes, until the mixture has bubbled and expanded. If you're using instant yeast, you can skip this step. 2) Combine the dissolved yeast (or instant yeast) with the remainder of the ingredients. Mix and knead everything together—by hand, mixer or bread machine set on the dough cycle—till you've made a smooth dough. If you're kneading in a stand mixer, it should take 5 to 7 minutes at second speed, and the dough should barely clean the sides of the bowl, perhaps sticking a bit at the bottom. In a bread machine (or by hand), it should form a smooth ball. 4) While the dough is rising, lightly grease two 9" round cake pans, or a 9" x 13" pan. 5) Gently deflate the dough, and transfer it to a lightly greased work surface. Divide it into 16 pieces. 6) Shape each piece into a rough ball by pulling the dough into a very small knot at the bottom, then rolling it under the palm of your hand into a smooth ball. 7) Place eight rolls in each of the round cake pans (or all 16 rolls in the 9" x 13" pan), spacing them evenly; they won't touch one another. 8) Cover the pan(s) with lightly greased plastic wrap, and allow the rolls to rise till they're very puffy, and have reached out and touched one another, about 1 hour. While the rolls are rising, preheat the oven to 350°F. 9) Bake the rolls until they're a deep golden brown on top, and lighter on the sides, about 25 minutes. 10) Remove the rolls from the oven, and after 2 or 3 minutes, carefully transfer them to a rack. They'll be hot and delicate, so be careful. Serve warm, or at room temperature. I use half the recipe to make 6 large rolls in a 20cm square pan. I brush them with 1 egg yolk with 2 tbsp milk before baking. 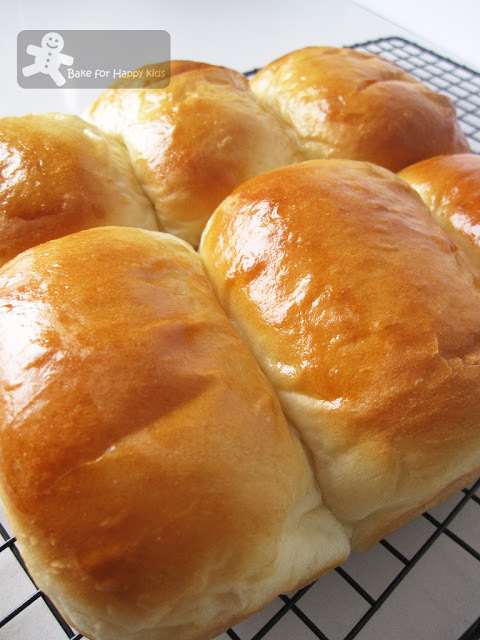 I just love dinner rolls. These look so delicious! wow, your bread so soft and fluffy. Beautiful color too. I have not made dinner rolls in a while and these look really soft and fluffy! The King Arthur Flour cookbook is one of my favorites. i want some zoe as in really want some right now.... these cuties are such a tease, iwill be dreaming of them tonight haha. How golden they look ZOE. Just buttery, soft and perfect. Hi Zoe, your white rolls are gorgeous! Just wonder wht is Italian OO flour, perhaps I shall goggle for it, thanks for sharing and have a nice day! Wow, Zoe, your dinner rolls looks perfect. Looks really soft, fluffy and with beautiful crust! I could just eat this plain with black coffee! Yum! Hi Zoe! Thanks for visiting my blog and following, it's my honour indeed. You have wonderful stuff here, will spend some time browsing thru. The rolls look so soft and fluffy. zoe, i really really really love the golden top of your rolls! i like!! hey, i wonder if we use the KA flour, how would these buns turn out? They look so fluffy! Yumm! I just met you and I love you. My husband LOVES these and I've never found a good recipe. These look perfect! Omg, stunning super soft rolls..
Oh... Stunned!!! 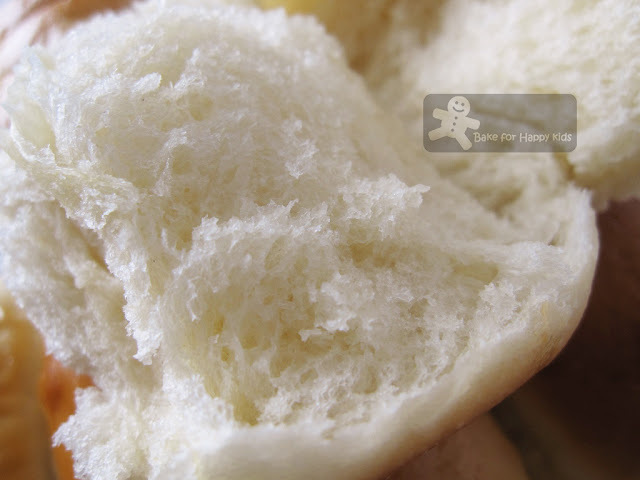 Zoe your dinner roll look sooooo soft and cotton like. I don't have a mixer so wonder if hand knead can achieve this result? Nice texture and your rolls are so plump and fluffy. I can almost feel the softness and I bet it's springy too. A good one! WOW! These rolls are some of the most beautiful ones I have ever seen. Nice work! SOFT like cotton! I love them. mmm...those look absolutely perfect! I would love them with just about any meal! Alice Law: Italian use 0 and 00 to describe how finely the flour is milled and 00 means that flour is more fine. Italian OO is sometimes misunderstood as bread flour which can be very light in its gluten content ranging from 6-12%. Ellen (Cuisine Paradise): I have not tried these rolls by hand kneading before and would think that it is possible to achieve this kind of texture with hand kneading. After kneading, I would suggest to do a "window" test to ensure that the dough is elastic enough for proving. Zoe, I love the colour of your rolls. Amazing! Thanks for sharing it. One bite! Hi, where can I get instant mashed potato flakes? I got mine from Woolworths or Coles. Any local supermarket will usually sell this product. can i just use all purpose flour?